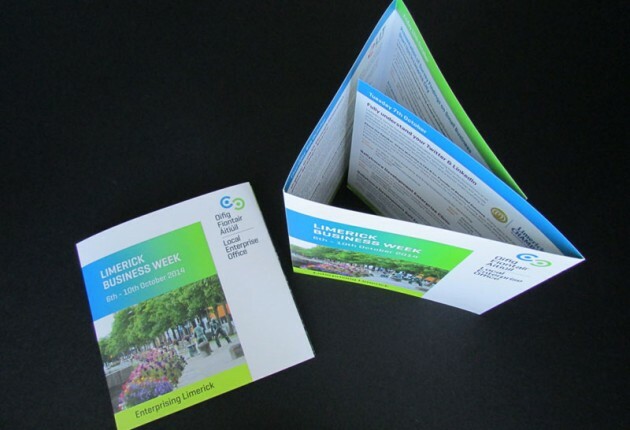 Blink Design™ has a proven track record in the fulfilment of graphic design projects for the Limerick City Enterprise Board over the last twelve years. Last year, we also rebranded Limerick’s Local Enterprise Office. 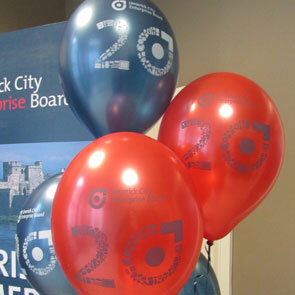 In 2012, 2013 and 2014 Blink Design™ was selected as the official graphic design provider to the Limerick City Enterprise Board and the rebranded Local Enterprise Office, Limerick. Louise has extensive experience in client management and is currently the Key Account Manager. Our working relationship with Local Enterprise Office, Limerick commenced thirteen years ago in 2002 when we were chosen to project manage and design the ‘Captains of Enterprise’ ring-binder folders and content. This project consisted of eight colour-coded folders targeting both the teacher and the student. Following the introduction of the new City & County Enterprise Boards brand, we helped to implement the brand throughout promotional material in accordance with the brand guidelines. In the same way, we implemented the new Local Enterprise Offices branding last year. We endeavoured to make this transition as smooth as possible for the Local Enterprise Office, Limerick team, as we liaised with them throughout the year on individual projects. Working with the team for the rebranding process last year was a great experience. 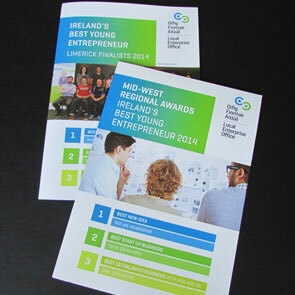 The new brand was successfully launched in Limerick City Hall in April 2014. We worked with Eamon Ryan and the team on the design and management of the backdrop graphics and the branded balloons, and so forth. 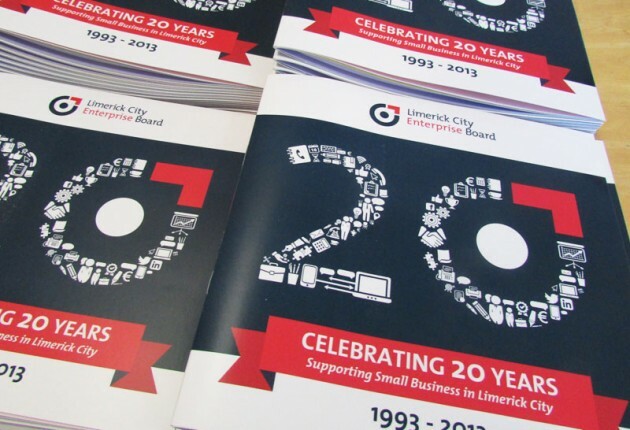 To mark the 20th Anniversary of the Limerick City Enterprise Board (LCEB) we designed a publication for this event. 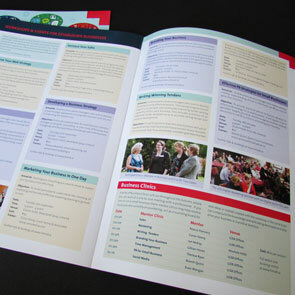 This was designed as a square booklet, recognising achievements and the team along the years. It was great to see older photographs and it also included six case studies of local businesses based in Limerick City and County that have benefitted and grown through funding from Limerick City Enterprise Board over the years. 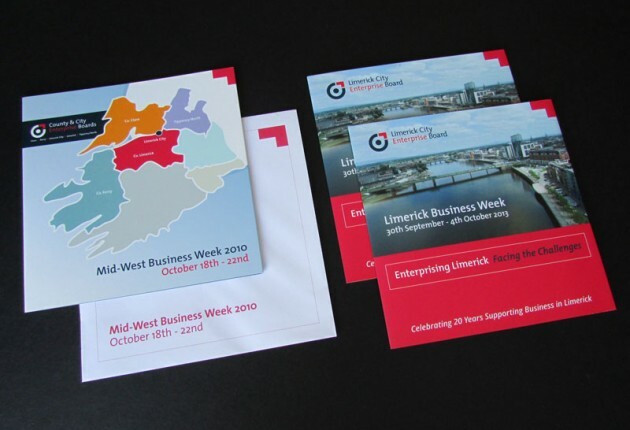 Limerick Business Week has been an annual project for Blink Design™, working with the Limerick City Enterprise Board and Local Enterprise Office, Limerick since the week-long initiative began in 2009. The title itself has changed slightly over the years, for example in 2010 it was called the ‘Mid West Business Week’. We have worked closely with the team year-on-year to clearly communicate the objectives of the week with complete and consistent roll-out across the brochures, invitations, advertising and website design. We have designed regular projects such as the seasonal training programme brochures, advertising for the local newspapers, ad-hoc design projects, press props, signage and the Strategic Plan 2009 – 2013. 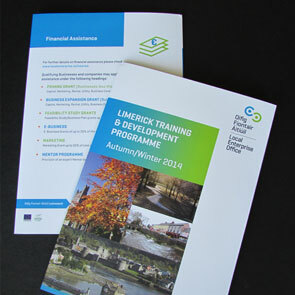 Log onto www.localenterpriseoffice.ie/limerick for further details on how they could be of benefit to your business.